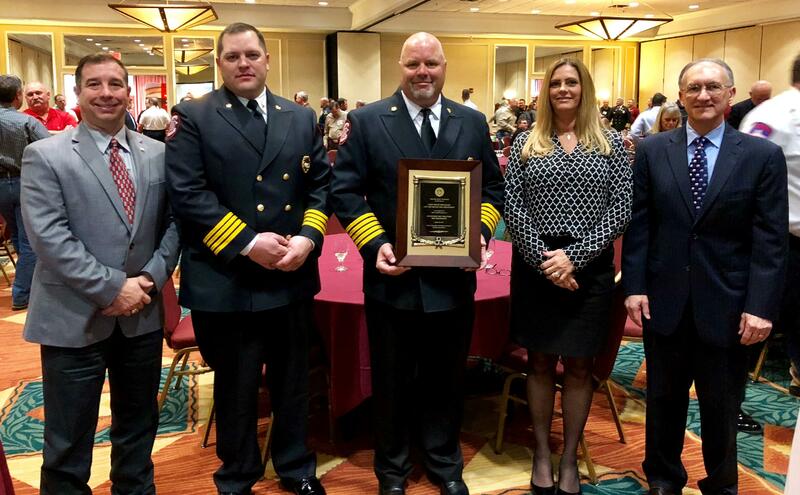 During its annual conference in Austin today, the Texas Fire Chiefs Association recognized the Belton Fire Department for attaining the designation of Recognized Best Practices Fire Department. In August 2017, Belton became the tenth department in Texas to receive the designation. The TFCA Best Practices program provides validation from experts that a fire department has established excellent service practices. The recognized designation certifies that Belton FD is among the very best in Texas. The Recognition Program has been in place since 2013. It evaluates compliance with more than 117 Texas fire department best business practices. This voluntary process required a critical self-review of department policies, procedures, facilities, and operations. Upon completion of an internal review, an outside audit and review was required. Final on-site reviews were conducted by trained Fire Chiefs and Assistant Fire Chiefs from other areas of the state. The results of these reviews were then presented to the Texas Fire Chiefs Best Practices Recognition Board for final consideration. Belton Chief Bruce Pritchard and spoke at a brief ceremony and acknowledged the role of his firefighters in achieving such a high honor. The presentation of the award will take place at a future City Council Meeting. The departments will also be recognized at the TFCA Executive Conference in Austin in February 2018.